Jennifer Lewis has won the Democratic Party nomination to run for Congress in the Sixth District, receiving just short of 50 percent of the vote in a crowded four-candidate race on Tuesday. Lewis, a mental-health worker and community activist, will face Ben Cline, a member of the House of Delegates since 2002, who won the Republican nomination in a party convention last month, in the November general election. Voter turnout in the Sixth, which stretches from Strasburg past Roanoke and over into Lynchburg and Amherst east of the Blue Ridge, was light, light, light, with just over 15,300 votes reported as of 9:30 p.m. Tuesday night. For comparison, the five-candidate race for the Democratic Party nomination in the 10th District drew more than 54,000 voters, and before you tell me, but that’s a Northern Virginia district, the 10th is currently held by a Republican, and congressional districts are apportioned to be roughly the same size, in terms of numbers of voters. So … yeah, uphill battle for Lewis, but she’s jumped the first hurdle. The seat is technically an open seat, with the retirement of Bob Goodlatte, a Republican who has held the seat since 1993. 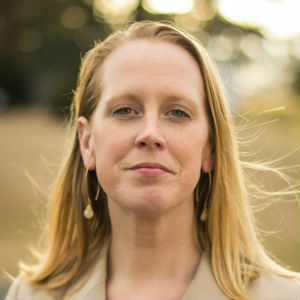 Cline is a Goodlatte protégé, a former congressional staffer who has represented a seat that includes a portion of Augusta County in the House of Delegates since winning a special election in 2002. Cline, nominally a moderate conservative back-bencher known in Richmond mainly for not making waves, did his best to run to the right en route to securing the GOP nomination, going out of his way to tout his support for President Trump, among other things. Lewis, for her part, has made a push for universal healthcare, through her support for Minnesota Congressman Keith Ellison’s Medicare for All Act, a centerpiece of her campaign. Which is admirable, but how it will play in the safe, safe, safe Republican Sixth, is not even much a question.